The famous Yasaka blade factory in Tranås, Sweden has produced blades to many table tennis champions in the World. To be able to produce table tennis blades of the highest quality you need years of experience and a deep knowledge, not only of materials and production processes but also table tennis. To produce a Yasaka blade takes far longer than you may imagine. From the initial selection of raw material until the final stage when blades are ready takes around six months. 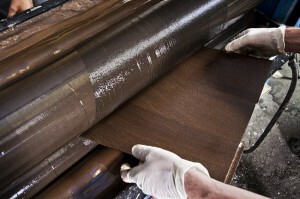 When producing the plywood for the blade, we use veneers (thin slices) of both different kinds of wood and thicknesses. The veneers are glued together in carefully chosen combinations and numbers, depending on the characteristics we are looking for. In some models we are using carbon fibres (or other natural fibres) to improve the characteristics. Generally you can say that a higher number of veneers in a blade give a faster blade. 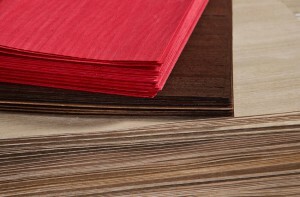 Of course the hardness of the veneers is also important for the characteristics. A heavy blade is usually faster than a light blade. To select the right quality of wood, which type of veneer and to know the exact thickness of the different veneers is half of the secret behind the blade quality. To have knowledge about the gluing process, (the different kind of glues available, their properties, the amount of pressure required, not to mention temperature and timing), the drying process and finishing work is the other half. In the Yasaka factory in Tranås, Sweden, we have that depth of knowledge and experience needed to bring all these factors together to produce an outstanding result.